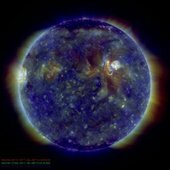 A good introduction to transverse wave in the solar corona is given by the Warwick centre for Fusion, Space and Astrophysics. Tom talked about coronal heating and identified mechanisms for heating the solar corona as well as convective heating and radiative transfer i.e. 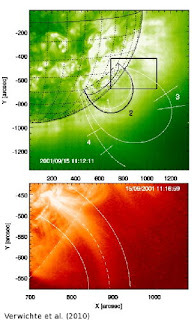 direct coronal heating he noted the important contribution of waves. Tom summarized the current equilibrium models for coronal loops and reviewed some of the recent results from numerical simulations run by their group, e.g. see, Observational Signatures of Transverse Magnetohydrodynamic Waves and Associated Dynamic Instabilities in Coronal Flux Tubes. 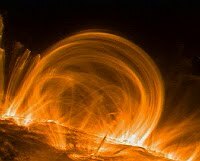 Tom showed that coronal loops driven by transverse waves form a turbulent structure, via the Kelvin-Helmholtz instability or uniturbulence. 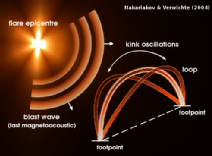 The cascade of the wave energy to the small scales is beneficial for heating of solar coronal loops by waves. 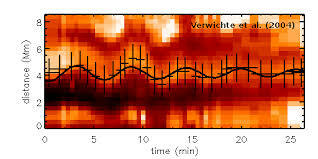 Tom described how forward modelling was used to make the connection of the wave models to the observations. These results were generated using the FoMO application. Snapshots of the emission line flux (in inverted grayscale colors) in Fe xii 193 for model 1 (left panels) and in Fe ix 171 for model 2 (right panels) with the velocity field overlaid in rainbow colors. 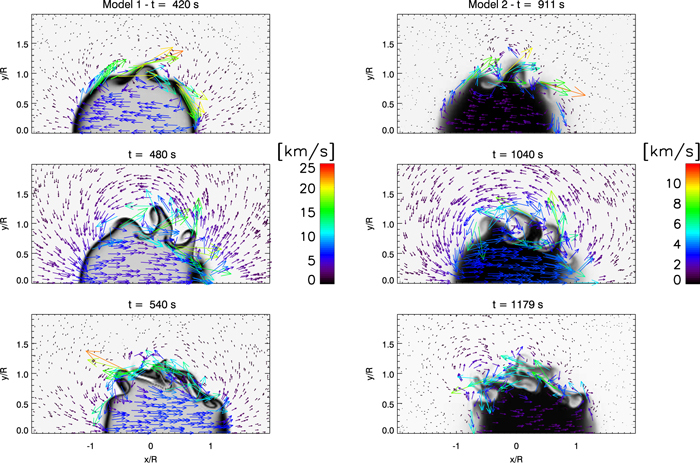 The snapshots follow the formation of the first KHI vortices (named TWIKH rolls). The color scale for the velocity field incorporates the extrema over the entire simulation. 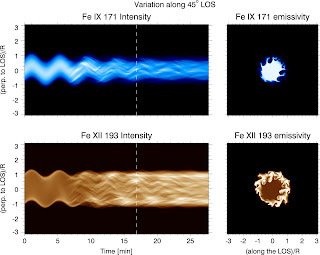 Time–distance diagrams of the intensities in the Fe ix (top panel) and Fe xii (middle panel) lines of model 1 and Fe ix line (bottom panel) of model 2 for a slit placed perpendicularly to the loop at the apex and with a LOS angle of 45° and at numerical (highest) spatial resolution. It was fascinating to see how models of many thin flux tubes resulted in mixing giving rise to a single flux tube. It was good to hear about the FoMo code this is something that Robertus has encouraged us to do i.e. reconstruct observations using our simulation data, here's how you do it.